This is a sponsored post. I received products to review in exchange for this post. All thoughts and opinions are my own. This post may contain affiliate links. Most of you know of Eco Sprout for their detergents, but they have so much more to offer! 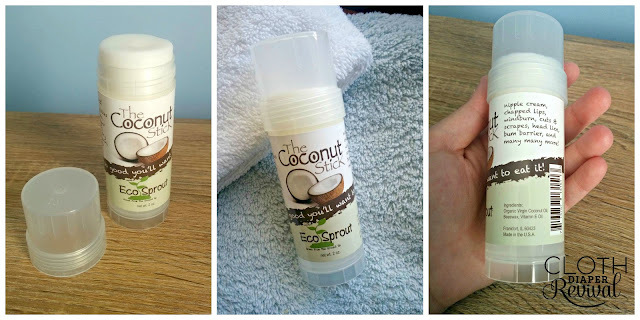 Eco Sprout shared some of their body care products with me and I am in love! We have struggled with eczema with my little boy since he was a baby. Over time, we have learned to control things and have significantly decreased his flare ups. Switching to natural bath products was the thing we found made the biggest difference. He now only has two small spots that flare up. These spots can become itchy and as we've seen in the past, the constant scratching can lead to an infection (skin infections on a 5 month old are no picnic...trust me!). In the past, we've used over the counter Cortisone cream (per doctor's recommendation) to calm down his flare-ups. While this wasn't an ideal solution, it seemed to help and kept his skin calm. But Cortisone cream is a steroid and we all know that even in small doses, it's just not the best thing to use regularly. Lately, we've been testing out the Coconut Stick on his flare-ups. Whenever I see him scratch his eczema spots, I hand him the stick and he rubs it on himself. The coconut oil does the trick! He likes the way it makes his skin feel and I love that he's no longer itchy and it helps his eczema to calm down. I also love that he can do it himself. The stick is easy to use and isn't messy which helps him to take control of his own care and be a big boy (slow down little one!). 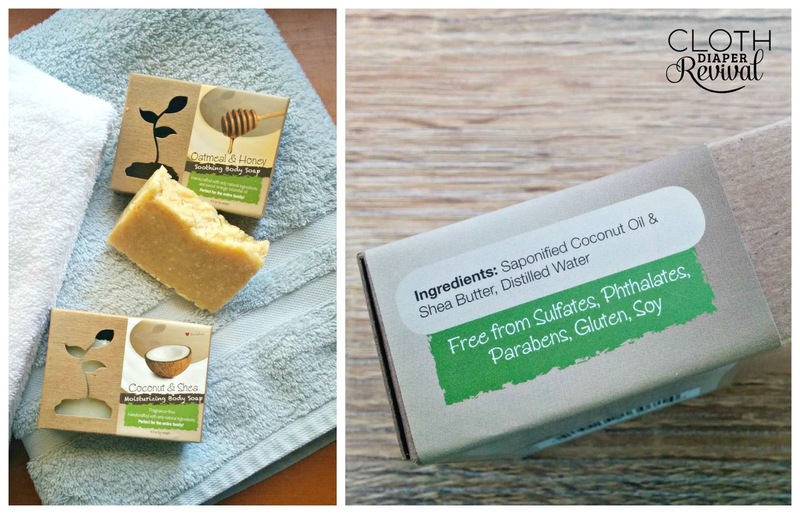 The Coconut Stick is made with 100% organic, unrefined coconut oil blended with beeswax and Vitamin E oil. The low melting point helps the stick to glide easily across skin and has so many uses! We love it for eczema flare ups, but it's also great for diaper rash, burns, bug bites, itchy skin, and chapped lips. We've also been using Eco Sprout's hand crafted bar soap at bath time. I'm a sucker for anything "oatmeal and honey", but there's also a coconut and shea bar too. There are no chemicals, preservatives or other artificial ingredients. I love how these chemical free soaps are safe for our skin and leave us feeling clean and soft. You can find these products and more on Eco Sprout's website or possibly your favorite cloth diaper retailer. I know Kelly's Closet keeps The Coconut Stick in stock!